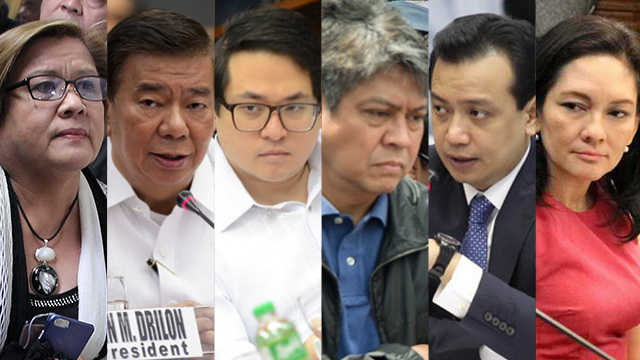 Home / News / Philippines / Are opposition senators sad of the continued drop of the inflation rate? Are opposition senators sad of the continued drop of the inflation rate? Did you read the latest on inflation rate mga ka-chienes?! You know why this news is very exciting? Because Bam Aquino, Flower Hilbay and Erin Tanada or should we all call on all Ocho Derecho including some other anti-Duterte out there - they're all calling to suspend the excise tax or better, the entire TRAIN 2. Korek?! Baket? Because in their pseudo-economist thinking, DA TRAIN or those excise taxes are what's causing inflation to rise. Oh, eh dapat hanggang langit at impierno na ang inflation ngayon dahil hindi na-suspend ang TRAIN 2! And what's the significance nung TRAIN 2? Ginagamet po ni Digong yong receipts nung excise taxes pan-tapal sa massive infrastructure project nya na gusto nung Ocho Tantadong Derecho na itigil. Saan ka naman noon? So, ano ang conclusion dito sa 3.3% Inflation rate? Napatunayan po nang 3.3% inflation rate, na walang pa-qui qui mum blue yung excise taxes or TRAIN 2 on inflation. Hindi TRAIN 2 ang dahilan kung baket tumataas ang inflation rate.